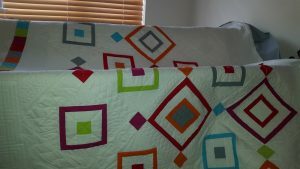 I recently finished this beautiful modern quilt for one of my favourite clients! 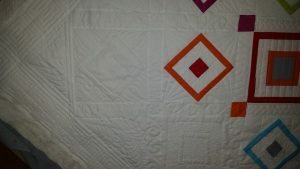 Sandra Butler is a member of the Irish Patchwork Society and part of a sew group called the sew n sews. I love her positive attitude to quilting and life in general. 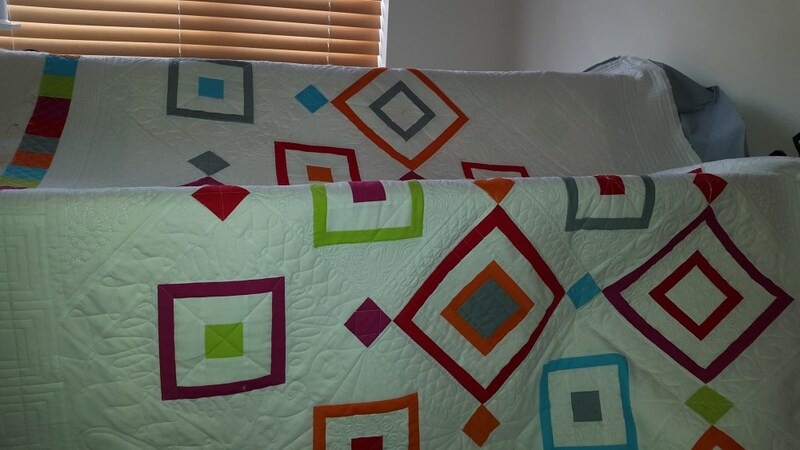 She made this quilt for her daughter and I’m sure her daughter will love it. 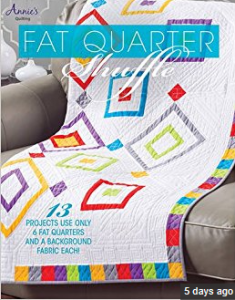 The pattern is called Raining Boxes and is from a book called Fat Quarter Shuffle by Annie’s Quilting. 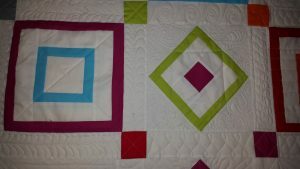 The backing has appliques on it that compliment the top and you end up with a front and back that are useable, so basically it became a reversible quilt. 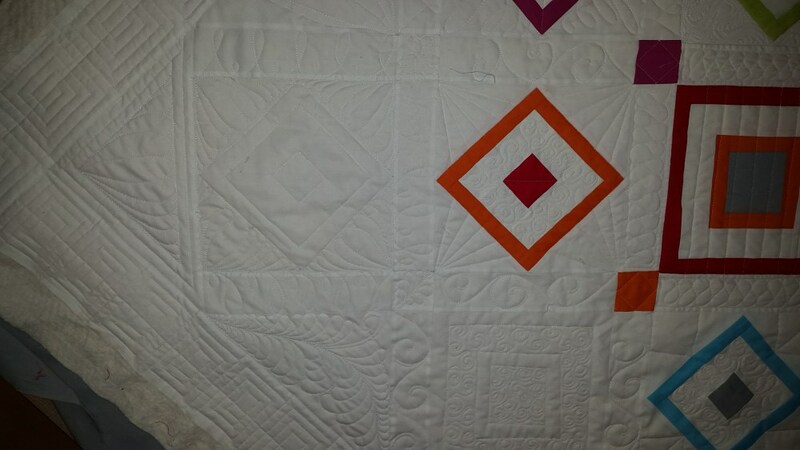 I ghosted the empty white negative space with blocks similar to that in the quilt. 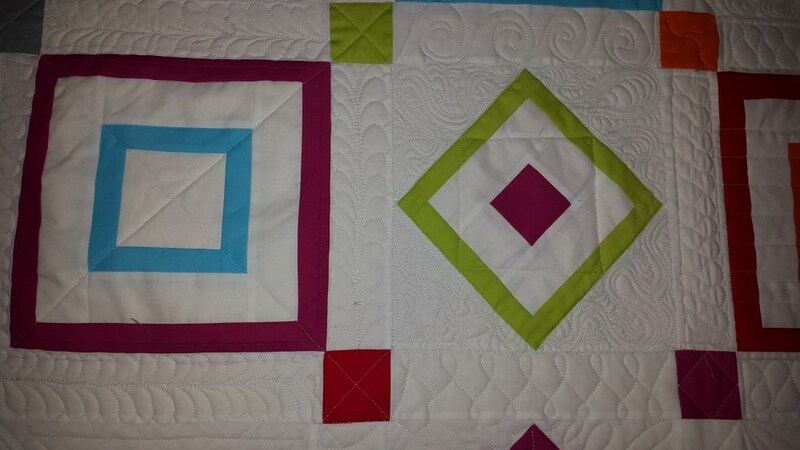 I filled in the spaces around the blocks with all my favourite fillers such as swirls, pebbleling, feathers, paisley, ruler work mixed with a lovely modern square border fill (that took ages!) 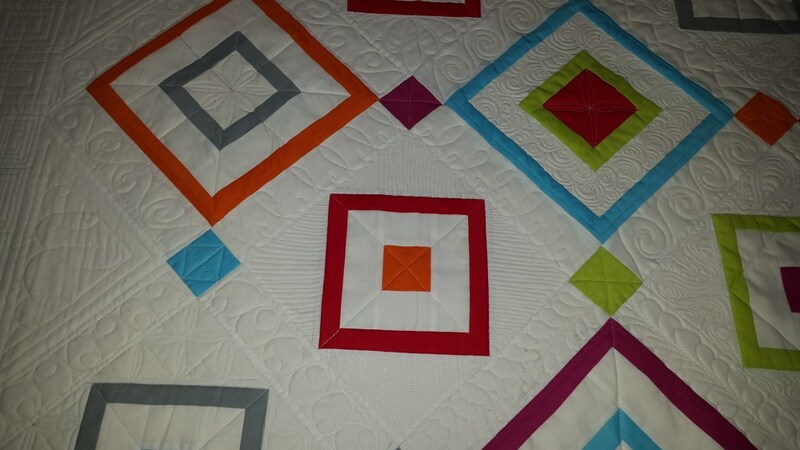 but it was worth all the work as it turned out gorgeous. 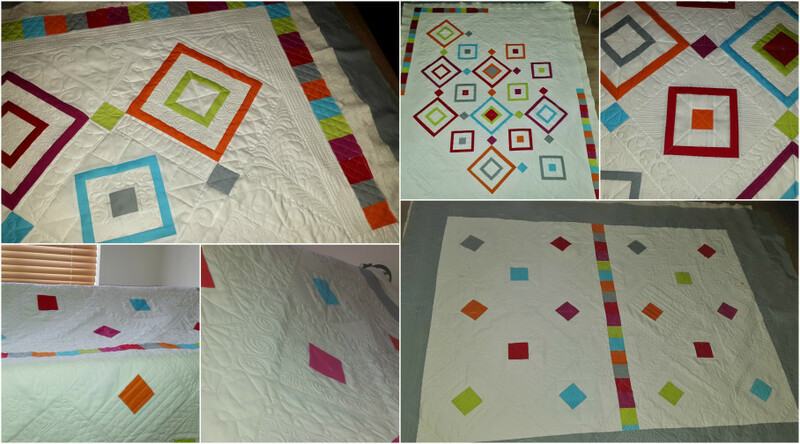 I hope Sandra will tag me on a photo of the quilt when it is bound and gifted so I can share it with you all completely finished.